Summer is finally here! The bout of cabin fever you and your pets suffered during those cold winter months is gone and the urge to roam the open spaces has come on strong. Traveling in the U.S. or abroad with your pet can be a great experience, as long as you take the right precautions, according to the United States Department of Agriculture's (USDA) Animal and Plant Health Inspection Service (APHIS) and the American Veterinary Medical Association (AVMA). Before setting off to distant destinations, it's important to have your veterinarian examine your pet to ensure that it is healthy enough to make the trip. Dogs and eats must be at least eight weeks old and weaned before traveling by air, also a licensed veterinarian (who has examined your pet within 10 days of transport) must issue health certificates. Have both proof of rabies vaccination and a current health certificate with you when crossing state or international borders. Carry a picture of your pet. If your pet gets lost, having a current photograph will make the search easier. Outfit your pet with a sturdy Collar and two identification tags, or amicrochip. The identification should have both your permanent address and telephone number and an address and telephone number where you can be reached while traveling. Let your pet get to know the flight kennel before the trip. Kennels must meet minimum standards for the size. strength, sanitation, and ventilation of your pet. It must be enclosed and allow room for the animal to stand, sit, and lie in a natural position. Food and water dishes, as well as instructions for feeding and watering the animal, must be securely attached and be accessible to caretakers without opening the kennel. Be sure to confirm with the airline 24 to 48 hours before departure that you will be bringing your pet. Advance arrangements are not a guarantee that your animal will travel on a specific flight. Arrive at the airport with plenty of time to spare. Travel on the same flight as your pet whenever possible. 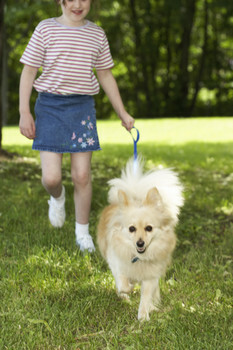 Perform a daily "health check" on your pet when away from home. In unfamiliar surroundings, your pet's appetite, energy, and disposition may change. Watch for unusual discharges, excessive scratching or biting of any body part, or loss of appetite. Visit a local veterinarian if you are concerned about any physical or behavioral changes.